The Republic of Maldives, home to one of the largest Manta alfredi populations in the world, has today protected mantas, mobulas and other rays throughout the entire country. MantaWatchers around the world played an important role in this achievement by the Maldives Government, and added their voices to a campaign launched by our friends at The Manta Trust. This visionary announcement by the Maldives Government signals a growing awareness of the importance of protecting these magnificent and charismatic species. In February this year the Government of Indonesia established the world’s largest manta ray sanctuary, and meanwhile manta watching remains an important tourist attraction in other nations around the word. We wonder which country will pick up the baton next. Today’s announcement clearly demonstrates the commitment and leadership of the Maldives Government to safeguarding our oceans. These regulations are a critical first step, and their implementation will require trained professionals with manta ray research, management and enforcement experience. In Indonesia our 2014 MantaWatch Internship Program is training young manta ambassadors and future marine leaders. 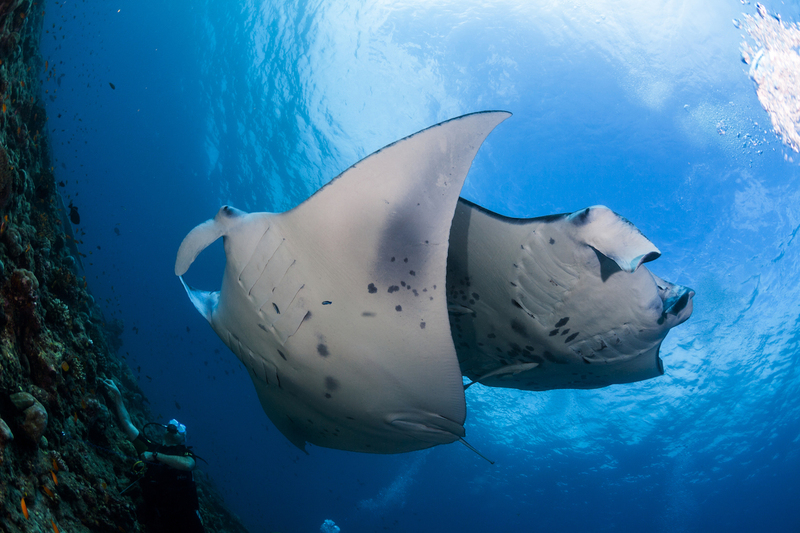 Click here to read more about the The Manta Trust and the protection of Maldivian manta rays.